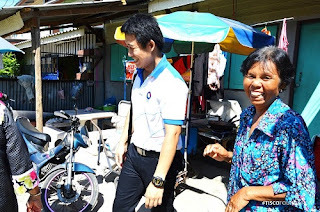 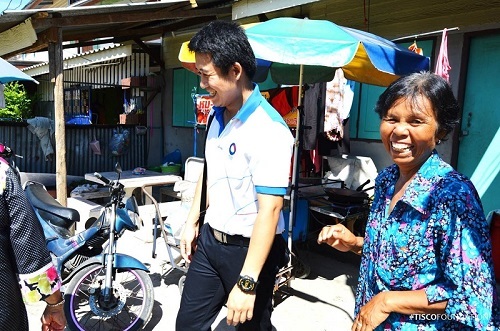 TISCO Foundation has donated a start-up grant to Noopong Seesongkram. 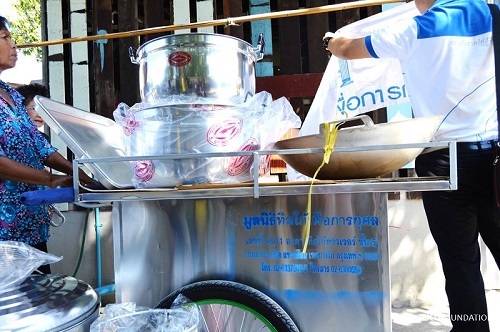 Noopong sells steamed sweet potatoes, peanuts, etc. around Rahadapisek-Tha Phra area. 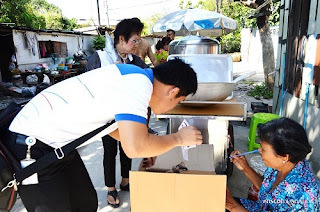 She has received a vending trolley and other utensils, THB 8,230 in value, to support her occupation. 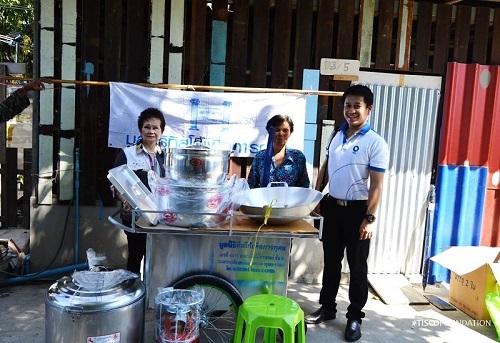 Khun Srisuda Boon-long, a foundation committee, represents the foundation to handover the grant.